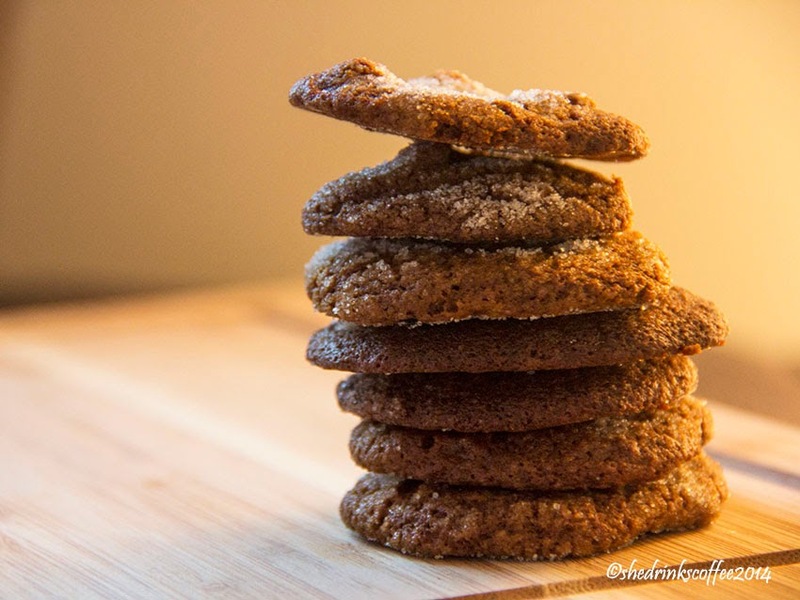 So there's this place in Athens, Georgia called Big City Bread Cafe that makes (among other things) really and truly delicious ginger molasses cookies. When I'm able to visit, I always try to stock up on a few. But since the delicious cookies live thousands of miles away from me right now, I'm trying to perfect my own recipe. 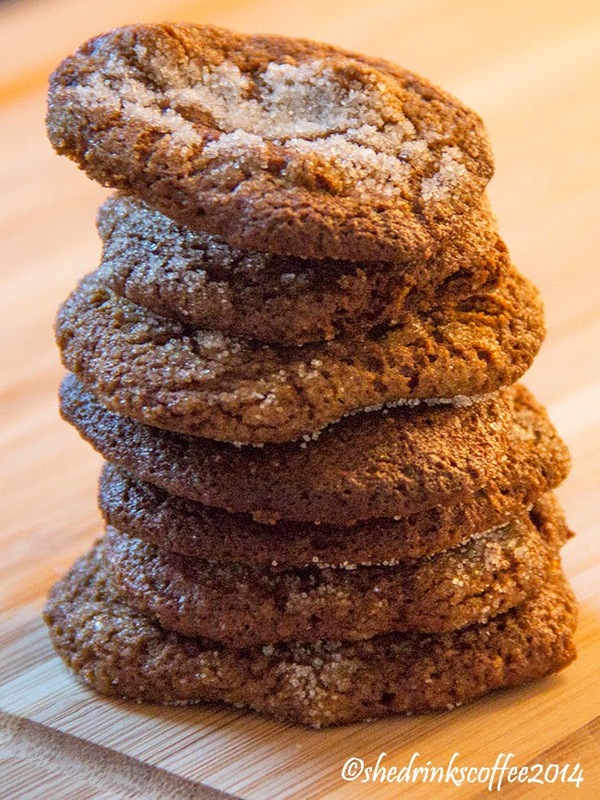 This recipe makes chewy, not too sweet cookies with a little ginger kick. Yum! 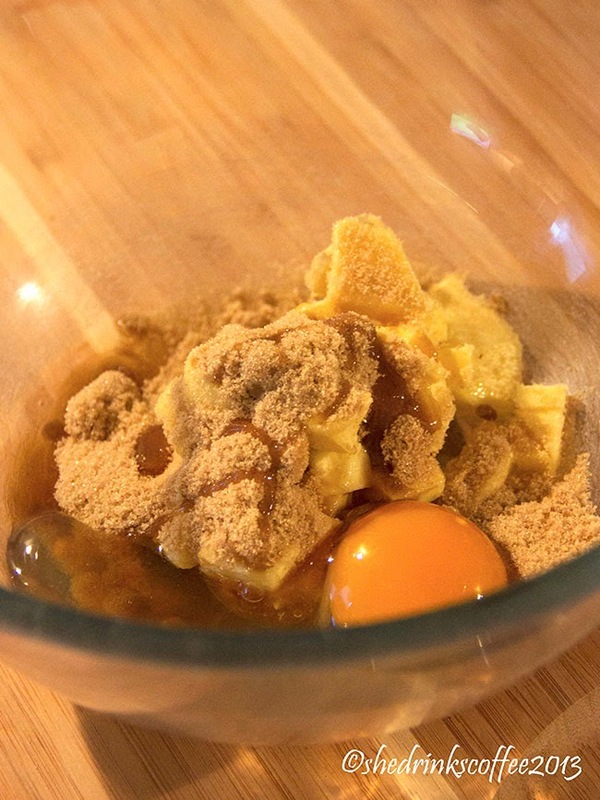 Add the light brown sugar, butter, eggs, and vanilla together in a mixing bowl. Blend with a handheld mixer on low/medium for about a minute. 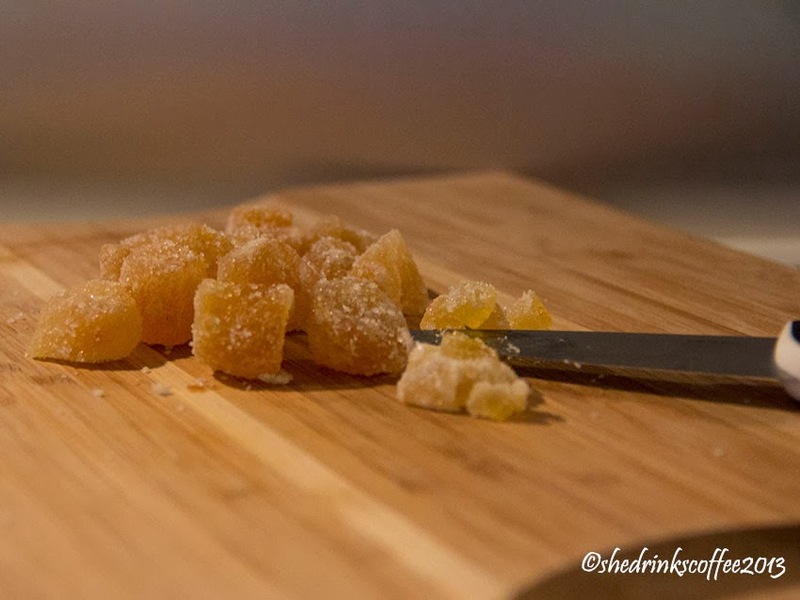 Set this wet mixture aside and roughly chop the crystallized ginger. Don't worry about being too uniform, but do aim for smallish pieces. The pieces should be not much larger than a chocolate chip morsel or M&M. (Or you could use The Ginger People's crystallized ginger chips, which are already the perfect size.) Once you've chopped the ginger, set it aside for a moment. In a separate, smaller bowl combine the dry ingredients - the baking soda, powdered ginger, and flour. 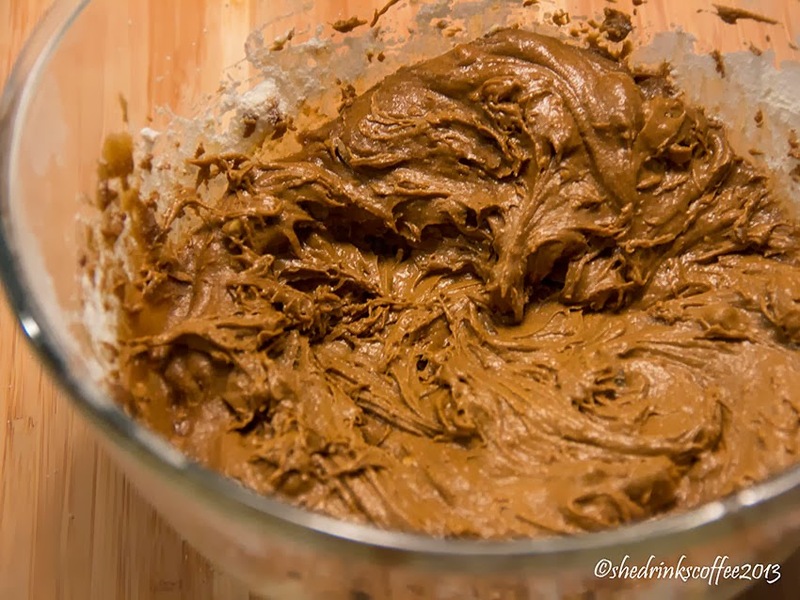 Then gradually blend this into the wet mixture. Finally, mix in the molasses. 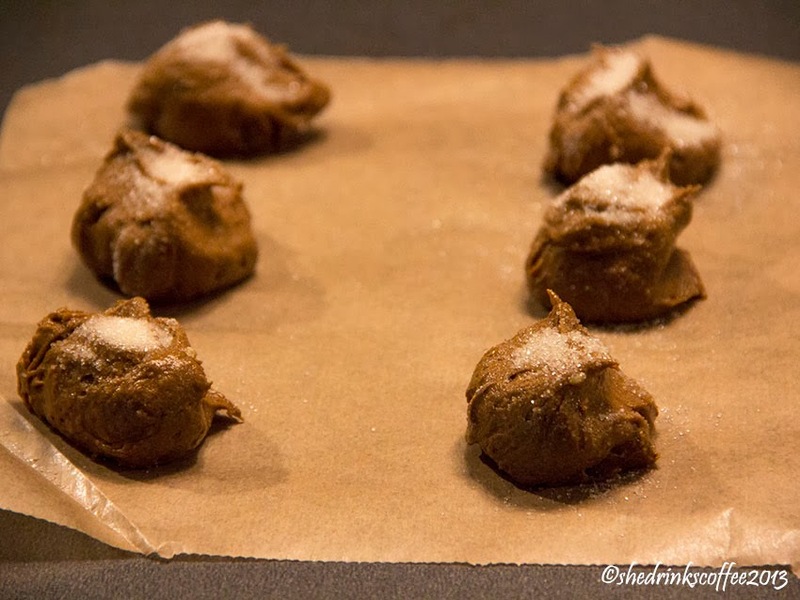 Once the molasses is thoroughly blended, fold in the crystallized ginger pieces. Evenly space rounded spoonfuls of the cookie dough (which will be on the sticky side) onto a parchment covered cookie sheet. 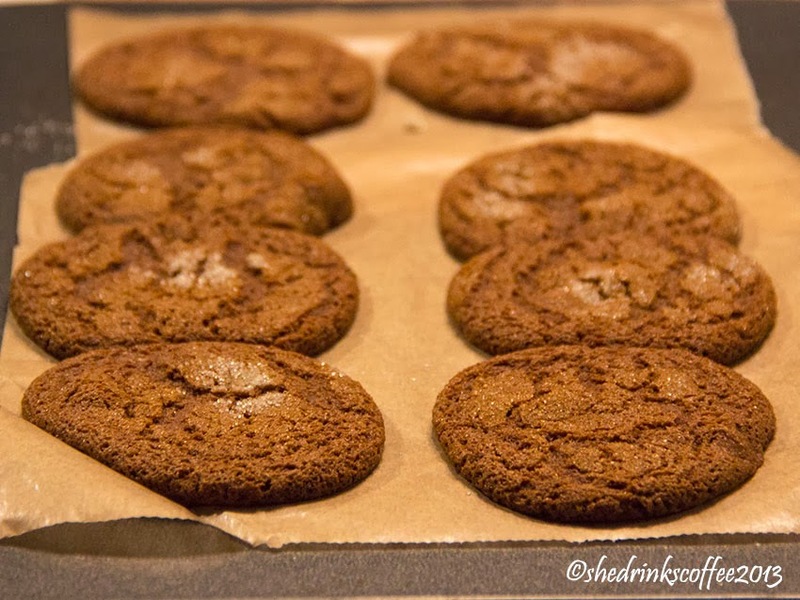 You can also lightly sprinkle the tops of the cookie mounds with caster sugar. Bake for about 9 minutes and allow to cool for a couple of minutes before removing from the tray if you want the cookies to remain in one piece! Enjoy as a warming (both inside and out!) snack on a cold January afternoon! Are you a ginger fan? I definitely am - I always bring these ginger candies with me when I travel (ginger is supposed to help with motion sickness! ).